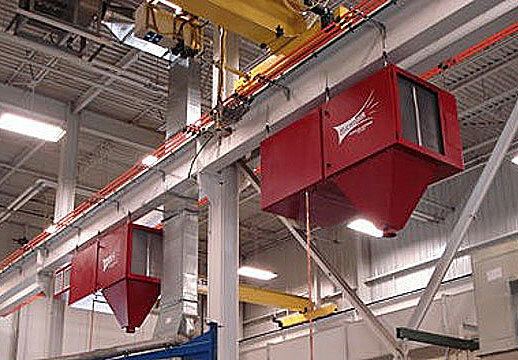 Ambient capture is a good way to capture pollutants and keep plant air below OSHA and NIOSH standards. In basic terms, we filter your plant air in problem areas to achieve desired air changes per hour based on application and pollutant levels. This can be a very cost effective way to provide clean, safe air to plant employees. Micro Air’s network of Engineered Systems Distributors are trained in all aspects of industrial ventilation and offer, product expertise, sizing, layout, etc. assistance.